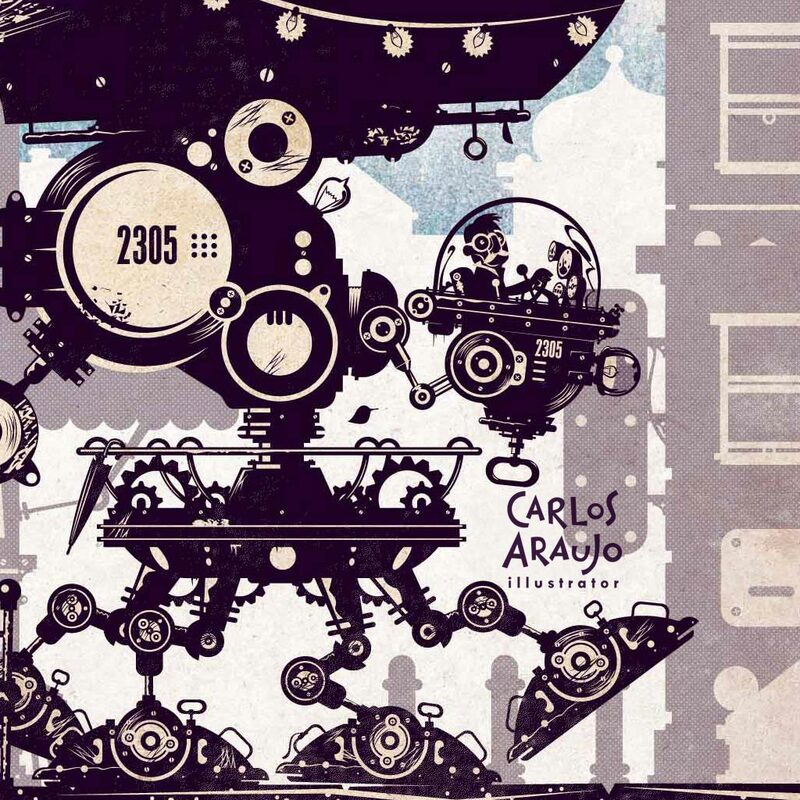 Carlos Araujo Ilustrador | Illustrator: SCHIZZIBOOKS! "People Movers"
2012 had an auspicious beginning: Schizzibooks are here! 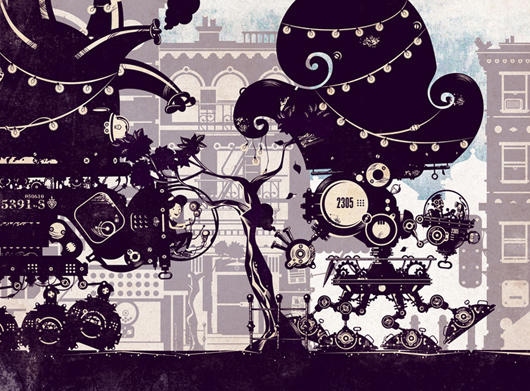 And the illo - titled "People Movers" - on this awesome sketchbook cover was created by me...! 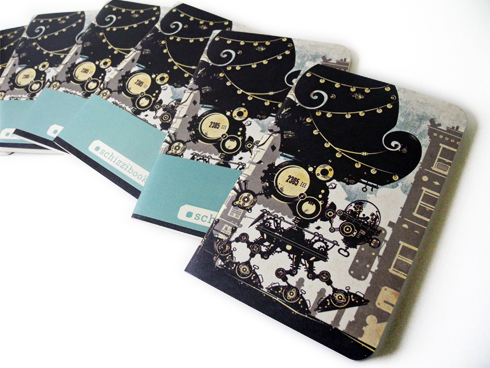 Each Schizzibook has 88 pages and measures 4 x 7 inches (it fits you pocket and budget). 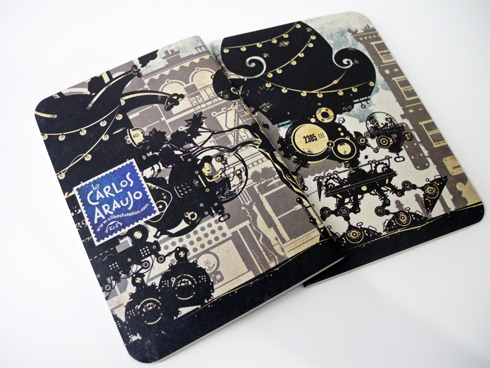 The edition is limited so don't wait too long before grabbing your sketch book. E para aqueles que também usam pixels para criar... Um papel de parede grátis para o seu iPad combinar com seu skecthbook. Clique aqui para fazer o download! 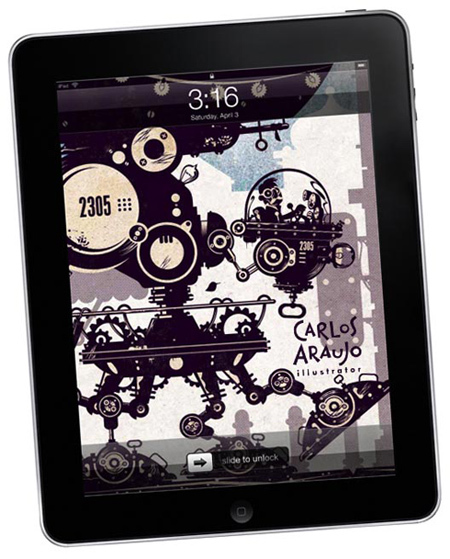 And for all the tech savvy folks: A free iPad wallpaper to match the sketchbook. Click here to download! Abaixo a imagem completa da ilustração, dois "walkers" trafegando - ou seria desfilando? - na rua. Espero que gostem! Bellow you can check the image on the cover... "People Movers" features two giant "walkers" trotting in the streets. I hope you like it! Compre no site da Schizzibooks e encha seu sketchbook de idéias incríveis... O ano está apenas começando...! Mais ilustras no meu portfolio. Go to Schizzibooks website - or send me an e-mail to carlos[at]silbachstation[dot]com - to buy your sketchbook... Fill its pages with wonderful ideas... The year is just beginning...! To see more illos, please visit my portfolio!